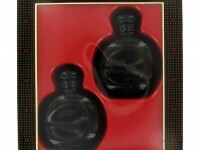 Kenneth Cole Black Perfume by Kenneth Cole, Kenneth cole black was launched in 2003 by the design house of kenneth cole . An elegant, sophisticated refined fragrance. This beautiful feminine scent is a burst of florals, citrus, sandalwood with a subtle undertone of musk. Kenneth cole black is alluring and sensuous for evening wear.